As you might expect, my team and I get to see the latest and greatest promo! We have a ton of great suppliers that work with us to make sure we have “seen it all.” With that in mind, sometimes I become jaded. I feel like I have seen every t-shirt, tumbler and cooler in the world. I mean, why would I need another? Recently I had the opportunity to work with one of our great clients (McWane Ductile) on their vendor golf outing. They always create a first class event. In order to make the event extra special, we partnered with our supplier Imagen Brands to create a “Hit it to Win it” contest on one of the Par 3’s on the course. The concept goes like this, we have some amazing logo’d products and we place them all over the green. (No, we did not impede a hole in one). Then if the participant hits one of the items, they get them! It was a lot of fun. (And yes there will be a video soon). I tell you this story to tell you this one; I found my new favorite cooler in the process! This is the cooler I did not know I needed. But I do! The Coleman 36-Hour 42 Can Marine Soft Cooler has an awesome look (that’s what got my attention first). The logo just pops off here and gets your attention right away. But in addition, I love the size! It’s just right for a trip out in the woods, at the golf course or out on the boat. In addition it keeps the ice in the cooler for up to 36 hours! Finally, I dig the top hatch for easy access to those cold beverages on a hot day! So take it or leave it. But I love it. As I said, I didn’t know I “needed” this cooler. But I know now! For more information on the cooler, check out this link. And make sure you never miss an update. It might be content. It might be product. But we hope to bring you value every day. Sign up for the VIP newsletter here. Oh…and shop for more products here. When I think of Tailgating, I think of fun. Whether it’s grilling food, cold drinks or just spending time outdoors, the thought of a good tailgate brings a smile to my face. So Tailgating (and other outdoor events) can be a great time to bond with the team or create experiential marketing for customers! But what do you need to make sure you hit the mark? Here are a few great products that will make your company event a home run! Coleman Oversized Cooler Quad Chair: If you are spending time outside, you will need a place to sit right? This is a great option. Not only does it have a cooler built into the arm (that holds 4 cans plus ice, but it’s also big enough to hold a full size person! Coleman 60 Quart Wheeled Cooler: You want to make sure you don’t run out of cold beverages. 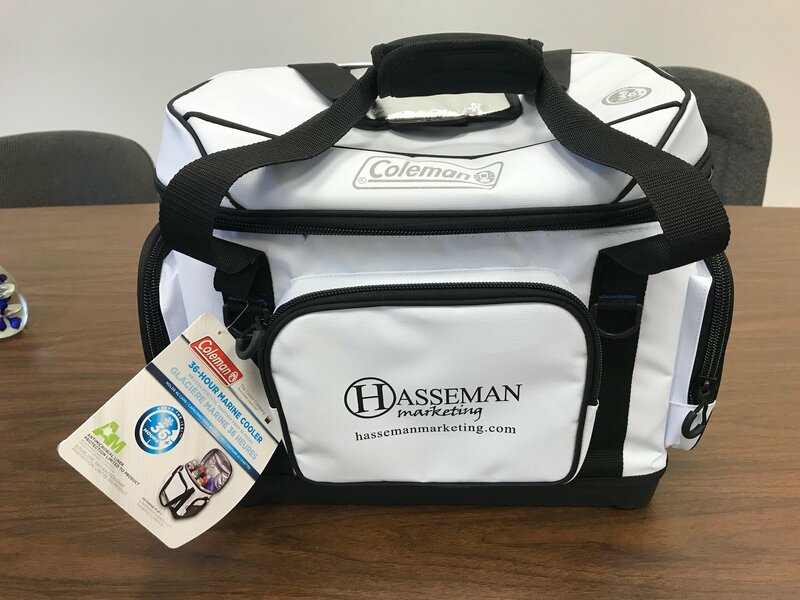 This Coleman cooler holds plenty of liquid! But don’t worry, the handle and wheels make it easy to move from place to place! Caps Off Spinner: Okay…this is just fun. This combination fidget spinner is also a bottle opener! Not only can you open the beverage of your choosing…but it’s fun to play with too! Giant Tumble Tower Game: And speaking of fun…it’s great to have a few games to play at any outdoor event. This Tumble Tower Game will provide fun for kids of all ages. Multi-Q Grilling Tool: This multi-tool is for the grill master! It includes a spatula, grill fork and a basting brush in one compact unit. It’s fun AND substantial. Nice for when you never know when you might happen upon a party and need to grill some meat! 20 Oz Keeper Cup: And of course you will need something to drink from! This 20 oz Keeper cup is really nice for the price. It’s a nice plastic cup that will last! 16 oz Stack Pint: But if you want to take your tumbler up a notch, this Stack Pint is awesome. It’s double wall and vacuum sealed and features a stackable design. This thing will keep your beverages cold and will not sweat! This is Tailgating in style! 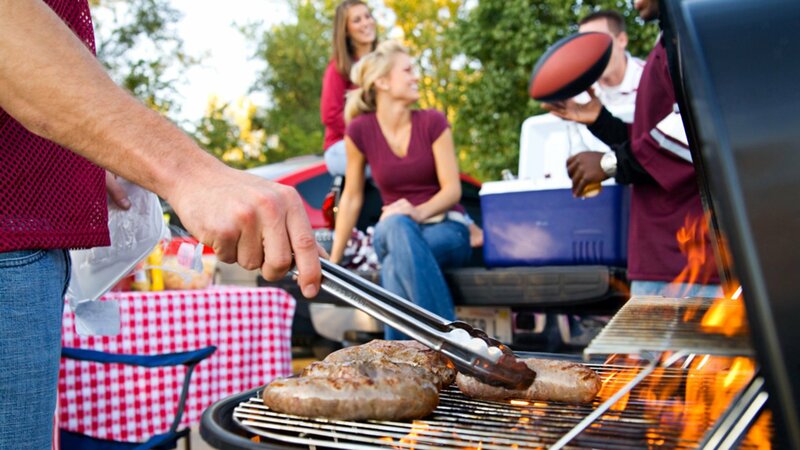 These are 7 products that are sure to be a hit at your next tailgate or any outdoor event. If you want more ideas, please let us know! And if you want to make sure you never miss an update, sign up for our VIP newsletter here.